The community of Montecito Heights, located between Los Angeles and Pasadena overlooking the Arroyo Seco River, boasts huge tracts of open wilderness areas, historic homes and magnificent views. This picturesque district possesses a rich history as one of the oldest and most fascinating sections of Los Angeles. The Arroyo Seco River, once lush and vibrant (and the subject of vigorous revitalization efforts), became a guide to the padres as they traveled the Old Monterey Trail from the San Gabriel to the San Fernando Mission. 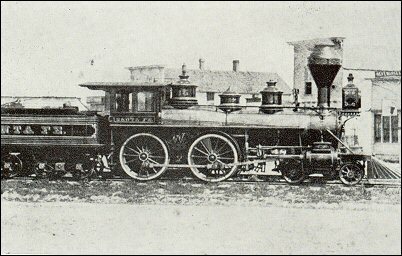 In the 1880s, a small settlement sprang up along the Arroyo Seco River, and the Old Monterey Trail eventually became a route of the Santa Fe Railroad. Currently, the Arroyo Seco Bikeway Project proposing a toll-road restricted to bicycles connecting Pasadena to downtown Los Angeles, seeks to create a "serious alternative to motorized commuting, designed to attract people of all ages and abilities". Montecito Heights, due to its spectacular beauty and incredibly convenient location, has attracted creative and artistic Angelenos since the turn of the century. Eccentric journalist Charles Lummis traveled cross-country on foot from Cincinnati until he found his ideal spot -- bordering the Arroyo Seco River at Montecito Heights. There, he used his own hands to build his dream house from local river rock and called it El Alisal, Spanish for the giant sycamore growing beside the house. 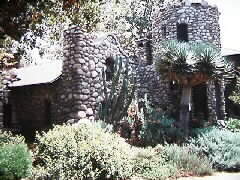 The site is now commonly referred to as "The Lummis Home". Charles Lummis founded the Southwest Museum, opened to the public in 1914. In the thirties, evangelist Aimee Semple McPherson fell in love with a large tract of land in Montecito Heights that is still owned by her Four Square Gospel Church. William Lees Judson, a prominent English painter, settled in the Montecito Heights area in 1893. There, along the banks of the Arroyo Seco, he founded the first school of fine art in Southern California, the Los Angeles College of Fine Arts. In 1901, the College of Fine Arts joined the University of Southern California and erected a building designed by Judson. The school and its founder attracted many artists and became known as the bohemian arts colony of the Arroyo Seco. The Judson Studios building also served as the guild hall for the Arroyo Guild of Fellow Craftsman, a group of artisans and craftspersons inspired by Judson and George Wharton James. In October 1909, influenced by William Morris, the Stickley brothers and the Roycroft community, James published the "Arroyo Craftsman" through the Arroyo Guild Press. The Craftsman aesthetic immediately enjoyed enormous esteem, popularized the budding Arts and Crafts movement of the 1920s, and advanced the American Bungalow architectural style, which is still highly revered. Intrigued by the pragmatic and graceful Arts and Crafts style, free-thinking students came from all over the west and created a nurturing community of artists and writers. This artisan and intellectual community still thrives today. Because of this richness of artists and works, the Arroyo Arts Collective and the Historical Society of Southern California sponsor an annual "Museums of the Arroyo Discovery Tour" that highlights the local art and architecture for this and neighboring communities. Over fifty local artists participate each year in the event, now in its sixth year. One of the more interesting characters to take up residence in Highland Park during the emergence of the Arts & Crafts era was Clyde Browne. Browne spent a decade building the Abbey San Encino, a lovely neo-Franciscan structure where he envisioned an arts collective comprised of the best printers, bookbinders, and graphic artists of his day, all of them living and working together under one roof. Boasting a tile fireplace designed by the legendary Ernest Batchelder, the Abbey must have been inspiring indeed. 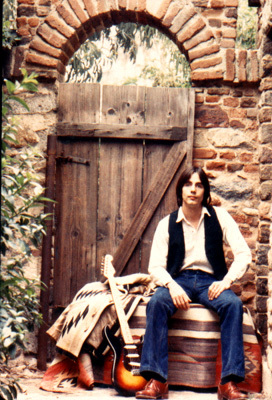 If such a dream can be measured by the accomplishments of its alumni, Clyde Browne was successful indeed - the Abbey was the childhood home of Jackson Browne, the incredibly talented musician whose songwriting defined American pop. Montecito Heights itself began as a development in 1910. The developers envisioned the planned and affluent suburb they named Montecito Hills as groups of gracious houses placed on large lots surrounding a magnificent hilltop hotel. The company went bankrupt along with the rest of the country in 1929, and the hotel was never built. But many Montecito Heights residents still enjoy the legacy of the developers' vision, and delight in their spacious oversized lots, a rare luxury in any large city. Others have profited by becoming micro-developers and building second houses on their large tracts. Heritage Square�s collection of meticulously restored Victorian houses at 3800 Homer Street. 6211 Arroyo Glen Street, Highland Park This Abbey built by arts benefactor Clyde Browne to shelter the best printers, bookbinders, and graphic artists of his day also produced phenomenally talented and successful musician Jackson Browne, Clyde's grandson. The astonishingly vast (over 200 acres of Arroyo wilderness) Ernest E. Debs Regional Park. The Audubon Center located at 4700 North Griffin Avenue, (323) 221-2255. New And if that's not enough - A History of Our Neighborhood is Now Available! A very detailed timeline for the Arroyo Seco area was created for certification of the Arroyo Seco Neighborhood Council. In pdf format; you'll need Adobe Acrobat. The link below will take you to the free download page where you can get the absolute up to the minute version of this handy program.